Welcome to the Team Binder page! 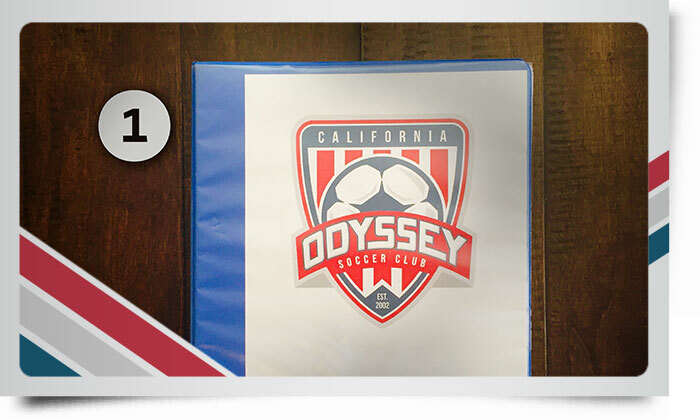 Here you can follow a step-by-step guide for building a team binder complete with the required components you will use throughout the season for league, tournament and State Cup events. The Team Binder is a 3-ring binder that team managers will use on a regular basis throughout the season. 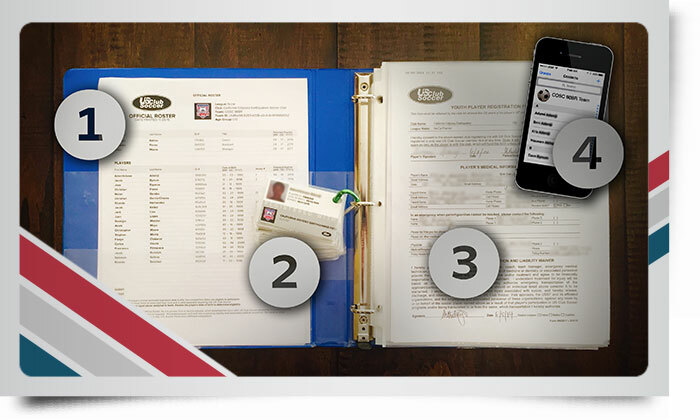 The team binder will store your official US Club roster, US Club passcards, US Club medical release forms and the birth certificates of your players. California Odyssey Soccer Club (COSC) is a proud member of US Club Soccer. US Club Soccer registers players and staff, provides insurance coverage, and sanctions competitions and events. Nearly all of the events your team will play in throughout the season are US Club sanctioned events and an official US Club roster will be required to participate. Your team binder should always contain a few copies of your official and current US Club roster. You will need a KYCK Play online account to manage your US Club roster. Please contact Patty Fernandez, the COSC Club Registrar, at patty422@comcast.net if you have not received your KYCK Play account information or if you have questions about your US Club roster. You can download a blank team contact form here to fill out, print, and store in your team binder. It is highly recommended that you create a group contact list for your team in the address book on your smartphone. You will want to keep the names, emails and mobile numbers for each player and/or their parents. It is very common for the team manager to distribute last-minute alerts to players and parents via group text messages about changes in schedules and/or locations of games and events. All COSC players, managers, assistant coaches and head coaches must have a current US Club passcard to participate in events. The COSC Club Registrar, Patty Fernanadez, is in charge of registering players with US Club as well as creating and distributing passes to coaches or managers. You may contact Patty at patty422@comcast.net with any questions. Use a standard hole punch to punch a hole near the top right corner of each passcard. Please be careful not to punch out any relevant information printed on the passcard. 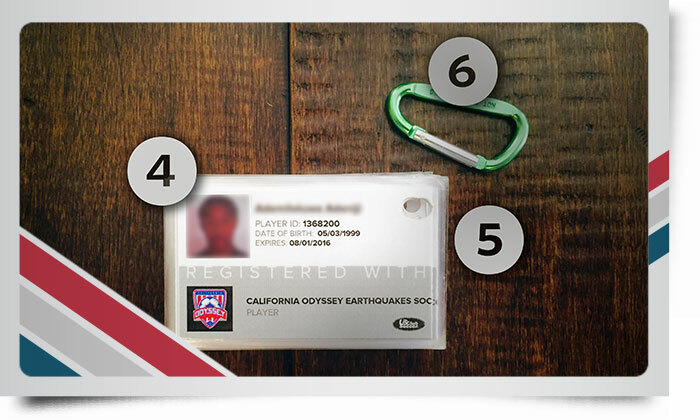 Thread all passcards onto a key ring holder (or karabiner, if you're really cool) in the order players are listed on your US Club Roster. If your key ring holder has a latch, you can snap it onto one of the 3 rings inside your binder for safe transport. 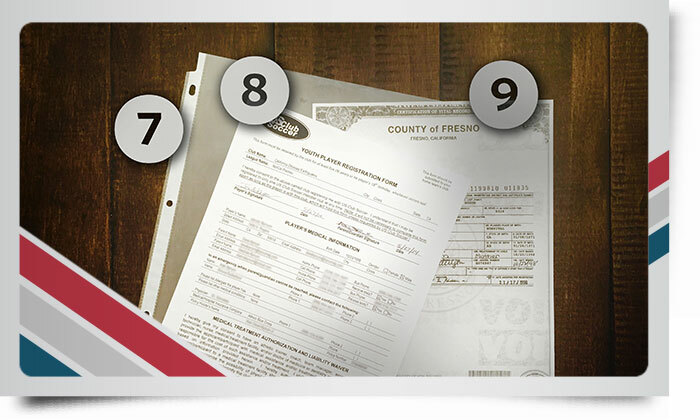 You should stock your team binder with a good supply of sheet protectors. The US Club Soccer Youth Player Registration and Medical Treatment Authorization Form is required of all players who are registered with US Club Soccer. This document must be filled out and signed by the parents or guardian of the player and be present with the team manager at all events. 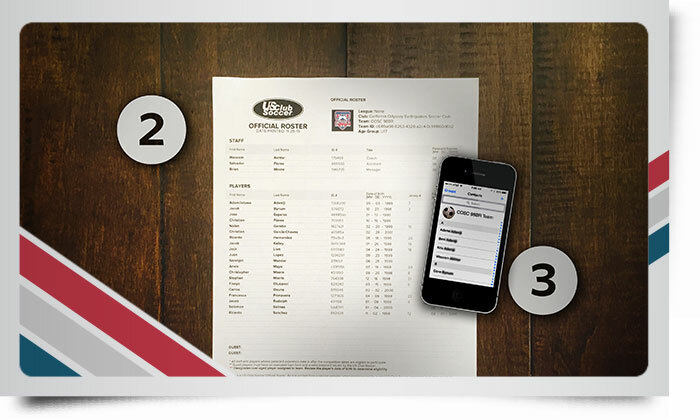 You are required to keep a copy of each players' birth certificate in your team binder. Like your official US Club roster, passcard and medical release, the birth certificate is required at check-in at all tournaments. 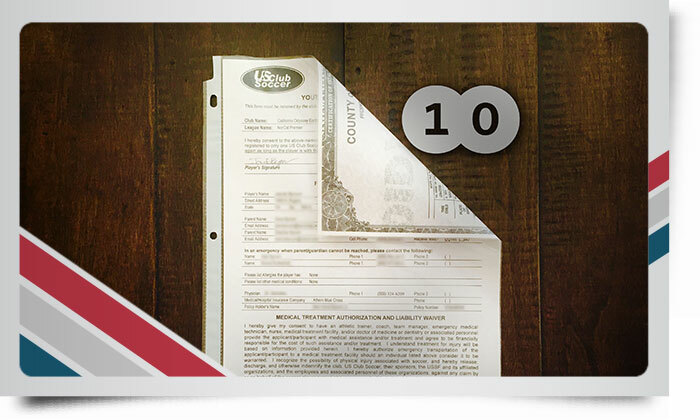 Position an individual players US Club Medical Release and birth certificate back-to-back and slide them into a single sheet protector. Repeat the process for each player. When complete, thread all sheet protectors on the 3-rings in your binder in the order listed on your US Club roster. Your Team Binder is Complete!